Every kid needs a wand! 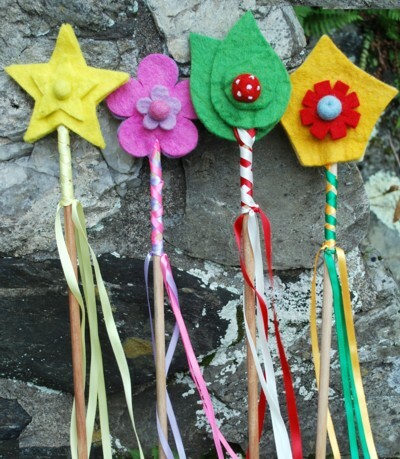 Wands are sold seperately, choice of flower, star, leaf or crown. All wand tops are hand felted in Nepal. The wand is assembled in the USA using the finest hardwood handles. Measures about 20 inches.